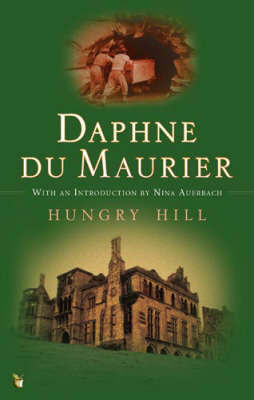 I had absolutely no idea what I was getting myself into when I decided to read du Maurier's Hungry Hill. I wanted to read something different from her best known works and thought that a family saga might make an interesting story. Well... it did! An interesting, but, also a tragic and depressing story. 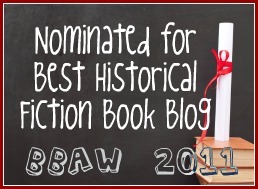 The story of the Brodrick family and their life in Ireland from 1820 to 1920. The story opens with the patriarch John Brodrick, called Copper John. However we immediately know that the family has been in Ireland for a few generations and that one of the Brodrick man ended up being killed by a member of the Donovan family and the feud is still very much open. In fact one could say that the story begins with a Donovan cursing Copper John and all his children. I tell you your mine will be in ruins and your home destroyed and your children forgotten ...but this hill will be standing still to confound you. Copper John is a man of progress. He lives in Clonmere with his five children and has decided he will open a mine on Hungry Hill. Although the land belongs to his partner it is Copper John who runs the mine and makes it a success. Hungry Hill ends up being their fortune. However the Brodricks are never well accepted by the locals. Something neither Copper John nor Henry, his oldest son, are very worried about but that his second son, John. soon realises and feels uncomfortable with. Trouble with the miners leads Henry to fall ill and eventually die. John becomes his father heir but he is only interested in his dogs. Even after he marries and has children his interest is only in what gives him pleasure and he leaves all boring and tiresome decisions to his carefree and temperamental wife Fanny Rosa. It is an interesting thing that John seems like a sympathetic character in the beginning. He understands the way the locals think and anticipates the troubles his father is going to have. But he becomes more and more of a dreamer and his marriage makes him even more selfish and detached from the reality he finds tiresome. It's his brother Henry that becomes the head of the family. Nothing like Johnnie he is profoundly in love with his wife and cares for his children and his business. One can say that if his father's marriage made him a worse person, Henry's marriage made him a better one. When his wife dies giving birth to their fourth child he is unable to cope with the reality of his life without her. His second marriage ruins his relationship with his children, with his friends and leaves only a shrewd and cold businessman. His son Hal, enjoyed a close relationship with his mother and ends feeling rejected by his father. He knows his father thinks of him as a failure and the insecurity that comes out of that never lets him pursue his dream of painting and eventually sees him as a clerk in his own family's company. And once again it is a Donovan that leads to his death, still has a young man. He has time to see the mine come to an end though; other markets and raw materials make it unprofitable and after being sold the mine at Hungry Hill is finally closed. We next see Hal's son, who was two when his father died, go back to the family home as an adult. He happens to find himself drinking with the wrong company in a period of civil war and the Donovan curse that started this story is finally fulfilled and his home his destroyed. Would the Brodrick family fate have been different had Copper John asked the Hill for permission before opening the mine? I loved du Maurier's writing and I suppose that is what made the difference in a story where there are so few nice characters and quite a number of them are nasty villains. The richest the Brodrick men become the weaker and tortured they seem to become too. But she made me interested and engaged in what happened to them and I could easily have kept on reading for another generation or two. Interesting. I have an old copy of this book and have been meaning to read it for years. I'e always wondered what it was about!